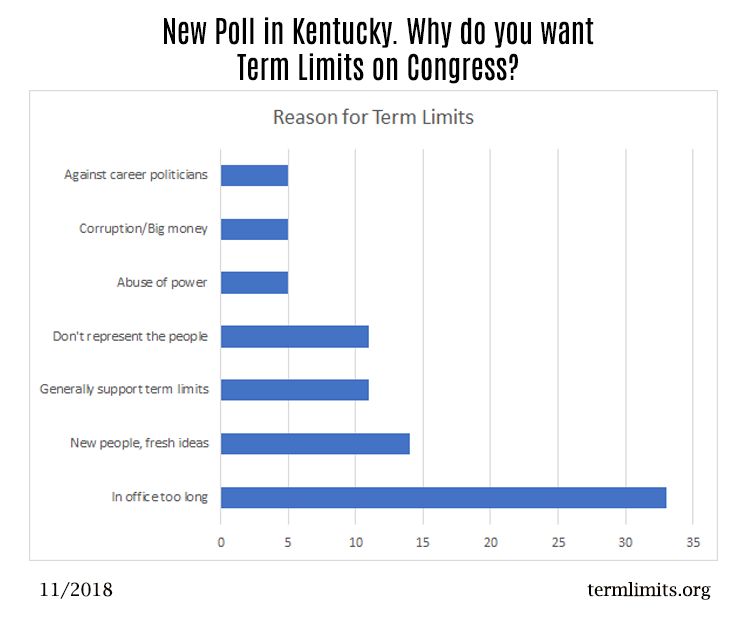 Washington, D.C. — A new poll shows that Kentucky residents resoundingly agree that it is time for term limits on Congress. 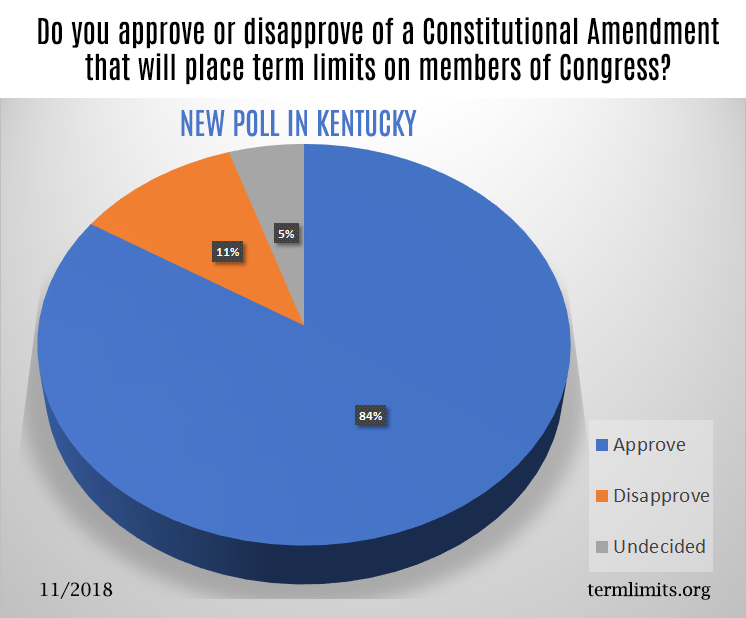 The survey, conducted by McLaughlin & Associates, found that 84 percent of the Kentucky voters polled support an amendment to the Constitution limiting the number of terms Senators and House Representatives may serve in the U.S. Congress. The pollsters also found that support for term limits is broad and intense across all political, geographic and demographic groups. The results indicate that 83% of those polled also want their state representative and state senator to vote in favor of an amendment proposing convention to implement term limits on members of Congress. The reasons they cited for wanting term limits are: They’ve been in office too long (33%), new people / fresh ideas (14%), generally support term limits (11%), don’t represent the people (11%), abuse of power (5%), corruption / big money (5%), and anti-career politicians (5%). For Kentuckians, this survey is more than fodder for a discussion at the water cooler. It will be rocket fuel needed to launch the Term Limits Convention resolution through the Kentucky State Legislature this upcoming session. The resolution is expected to be filed when the legislature reconvenes in January. The measure must pass both chambers of the Kentucky legislature in order to count towards the 34 states needed to trigger the term limits proposal convention. View McLaughlin poll results here.